You are here: Home > Search for "unscented vu-"
WOW! We found 45 results matching your criteria. MineTan Absolute X20 Self Tan Foam - Unscented - 1 Hour Express Tan / 6.7 fl. oz. - 200 mL. 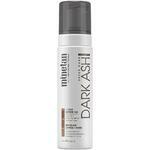 MineTan Dark Ash Self Tan Foam - Unscented - 1 Hour Express Tan / 6.7 fl. oz. - 200 mL. MineTan My Moroccan Self Tan Foam - Unscented - 1 Hour Express Tan / 6.7 fl. oz. - 200 mL. 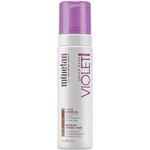 MineTan Violet Self Tan Foam - Unscented - 1 Hour Express Tan / 6.7 fl. oz. - 200 mL. Unscented Deep Tissue Massage Lotion / 8 oz. SPA PANTRY Whipped Coconut Butter / 16 oz.